This variety is produced in the region of Jaen and gets its name from the pointed ends of its leaves. Thanks to a high content of polyphenols, it’s very stable and can withstand cooking temperatures of more than 190° Celsius (190° Fahrenheit). 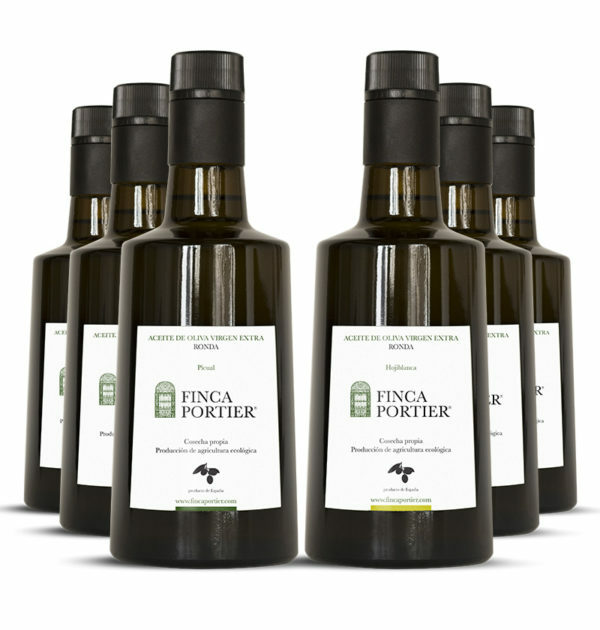 It is intense, very fruity, and full-bodied, with aromas of fresh olive and dried fruit, and notes of tomato, green grass, fig and green wood. It’s ideal for any dish requiring relatively high cooking temperatures (stews, pan-fying). 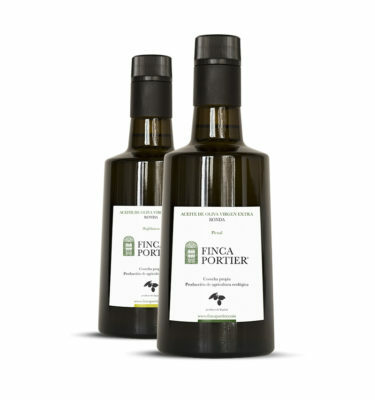 Olive oil lovers will appreciate how it complements salads and cold dishes. 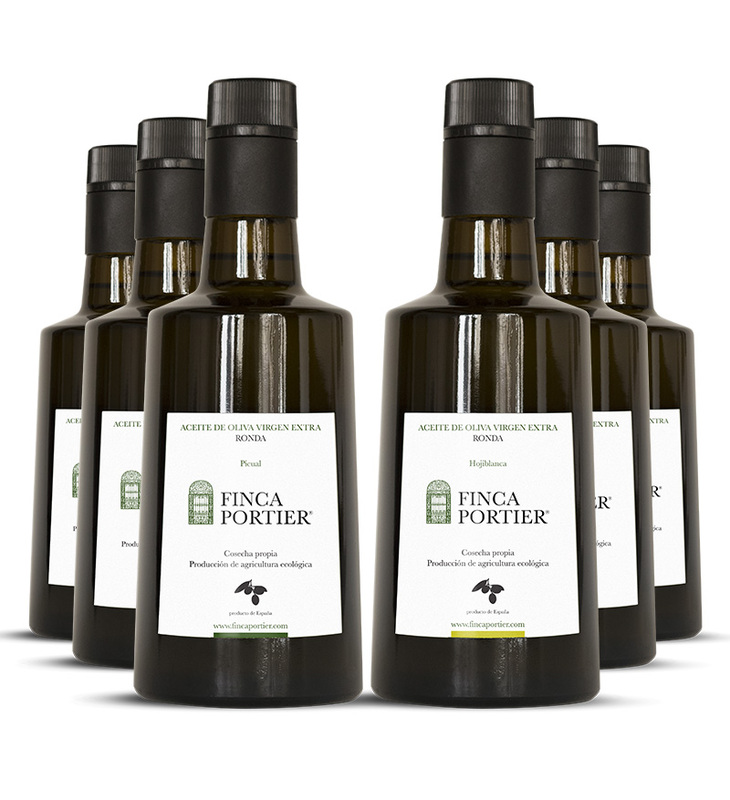 The altitude and dry climate of Finca Portier are perfect for growing premium-quality, organic Picual olives. This variety is native to the region of Cordoba. Its name refers to the light color of its leaves. It matures late. It is fruity, balanced, very aromatic, smooth with notes of green grass, apple, fig and green almond. 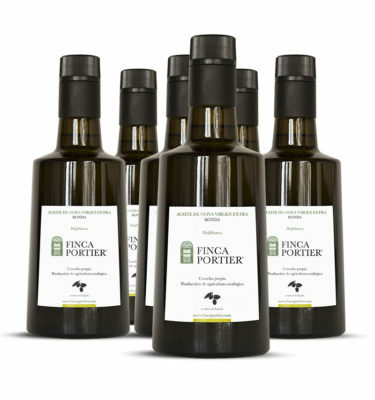 Ideal for short cooking times and low heat, its pronounced aromatic flavor enhances salads and hot dishes with a drizzle of oil before serving.